Hear from our community why specialization matters. Juvenile Defense is a specialized practice that requires a unique set of skills and knowledge distinct from what is required to practice adult criminal defense. Because children are different than adults, and have considerations such as school, parents, and ongoing development, attorneys practicing juvenile defense need to be familiar with areas such as education law, adolescent development, and delinquency court rules of procedure. 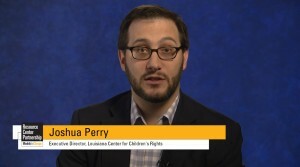 The resources provided below will help attorneys develop and maintain the specialization needed to provide children with high quality defense representation. The Juvenile Training Immersion Program (JTIP) is a 40-lesson curriculum for developing a specialization in juvenile defense and is the cornerstone of NJDC’s training of front-line defenders. JTIP trainings can be localized to fit any state-based training needs. This Guide is targeted at both Training Coordinators and Trainers and is designed to help them meet the requirements needed to deliver a Juvenile Training Immersion Program (JTIP) Training. While sometimes the person responsible for coordinating and organizing a training program will also be one of the people responsible for delivering that training, this is not always the case. This guide includes sections to address the needs of both roles; Tips for Training Coordinators and Tips for Trainers. Because JTIP is unlike any other training curriculum, planning and facilitation of the program has some unique considerations. A complete how-to guidebook for handling juvenile court cases, the Manual covers every phase of the juvenile court process, from arrest and intake through appeals, with sound advice from distinguished experts. This definitive hornbook will be extremely useful to both the new and veteran attorney, and incorporates scholarly writings, statutes, and cases from jurisdictions across the nation. The Manual is an invaluable resource on the law as it is applied to youth at each stage of the delinquency process. This chart depicts the states and U.S. territories that have statutorily-established training requirements for juvenile defense attorneys. Ensuring appropriate training is key to the development of a cadre of quality juvenile defenders. This chart also analyzes the states that authorize public defense commissions to institute training and/or practice standards, including whether said standards are mandatory. 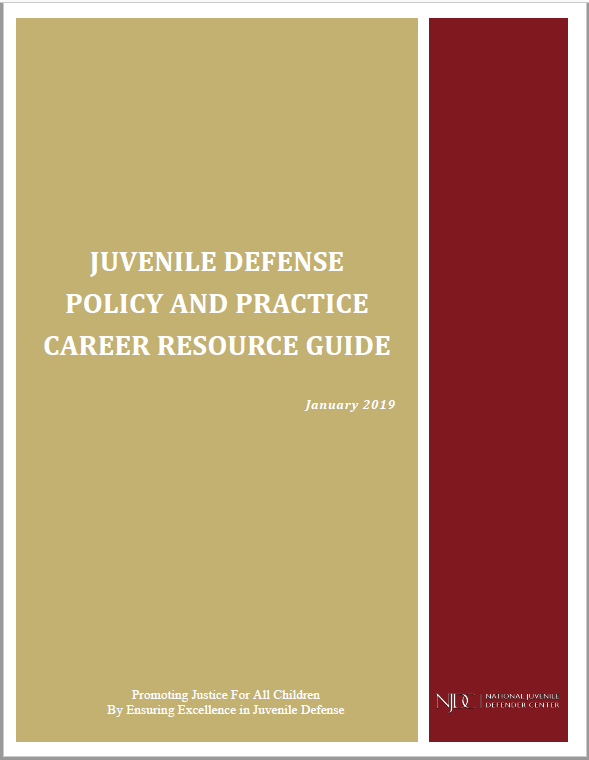 NDJC has created this electronic guide to raise the profile of juvenile -specific defense as a career. It is intended for law students interested in pursuing juvenile defense as a career and includes information on coursework and externships that will help strengthen a candidate’s application in the juvenile defense field; resources to guide in the search for juvenile defense jobs, fellowships, and funding opportunities; and a list of offices around the country that provide employment and internship opportunities specific to juvenile defense.